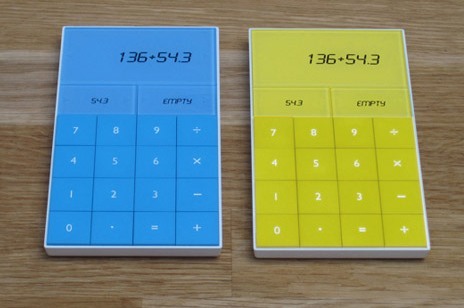 NeWs YoU CaN UsE: Alex Hulme’s Pocket Calculator Stores Your Results! 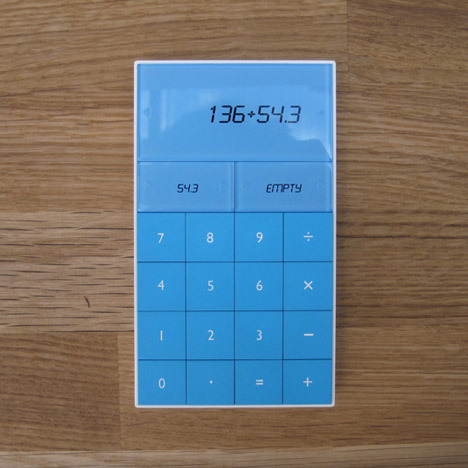 Alex Hulme’s Pocket Calculator Stores Your Results! A calculator is just not the new thing today, but still the one introduced by Alexander Hulme truly has something new and striking about it, which you would love to get and use. Apart from working just like every other ordinary calculator by calculating the digits typed on it, this new calculator design also has the capacity to store the figures and results that you think are important. This calculator is capable of delivering this extraordinary cut and paste service, and has two programmable LCD buttons. So, the best part is that while summing up the expenses to occur next month or an amount that you will need to pay after receiving your check or anything all at the same time, you will not have to keep them noted in another place. 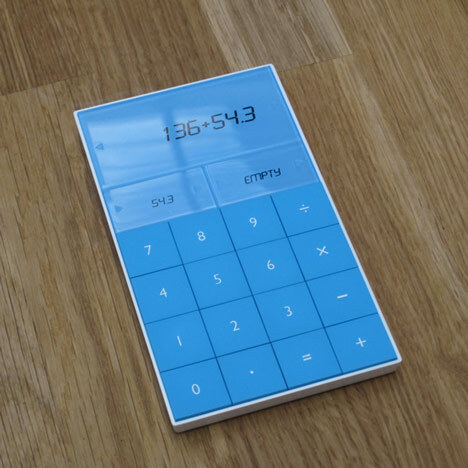 Just keep it stored in thecalculator itself, and find it ready in your hand anytime you need it. The figures or the calculations that you kept stored in the calculator can even be edited. The two buttons of thecalculator that are placed under the screen give you an access to its particular activities. So, once you know these well, operating it will be real fun for you. The left button can be used for typing a value, and then a tap on the right button will make it a sum. At a time, when this object, calculator, is on the verge of being forgotten with the computer replacing it, this very new and useful design of this calculator will again bring back the lost importance of the thing. The very familiar drawback of a calculator, of recalling its memory and going back to the previous calculations, has very well been realized by Hulme. Hence, we have today found something so revolutionary, so pocket size, yet so useful in the form of this new thing. For a close view of this amazing calculator of Hulme, you can visit Sunbury Workshops Open Studios that has opened from Saturday 18 to Sunday 26 September (11am to 5pm everyday). Hulme, who works as a professional designer, has reflected his talent, passion, and creativity; everything in the very right way. Starting his career after graduating from the Royal College of Art, Alexander Hulme has his own studio in East London. Further more creative works of the same type are being expected from you Hulme!